The flexible storage solutions you need, right there on your doorstep. We take pride in offering uniquely accessible and convenient self-storage services, accessible from London and the South East of England. Our modern self-storage facility is located just off the M25, positioning us within easy reach of London and the surrounding regions. We’re proud to offer self-storage services for clients in Surrey, Sussex, Kent, Croydon, Kington Upon Thames, Bromley, Crawley, Sutton, Dorking, Reigate, Redhill and the whole of the South East of England. Whatever you’re looking to store and for whatever period of time, you won’t find a better deal on the market – guaranteed! We offer a complete range of London self-storage services covering domestic and business requirements alike. Our units and containers are available in a wide variety of shapes and sizes, from the smallest self-storage lockers to much larger shipping containers. What’s more, we also offer an extensive range of vehicle and equipment storage services for personal and business use alike. Our safe and secure storage facility can be used to store cars, boats, motorhomes, caravans, trucks, building machinery, small plant and just about anything else you need. With full 24/7 CCTV coverage and the highest security standards, you know your property is in the safest of hands. 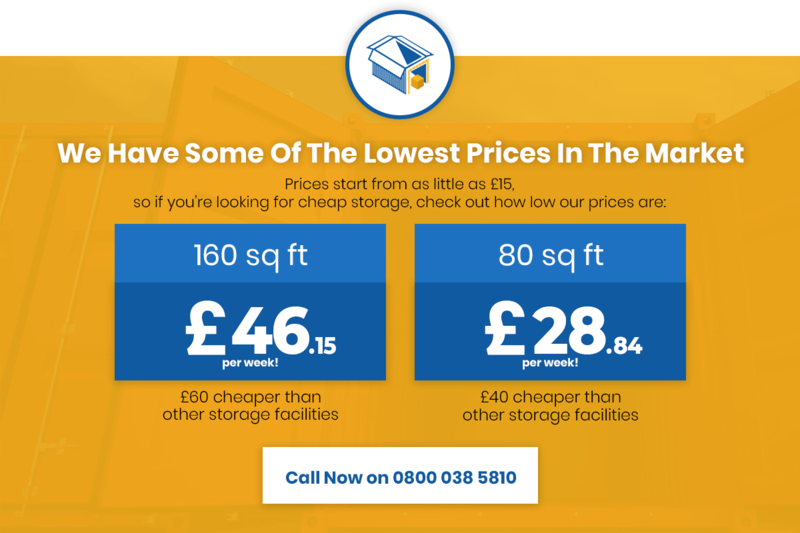 Those who come to us for self-storage in London, Surrey, Sussex, Kent and the South East of England enjoy quick and easy access to their property, seven days a week. We make it as easy and convenient as possible to make a reservation – book today and secure your storage unit for the lowest possible price. After which, you’ll have free and easy access to your self-storage units right here at our facility. For more advanced storage needs, we can also offer a range of larger units and shipping containers – both here on our premises and for delivery to you. If you need any help transporting your items to our self-storage facility, we can help – simply get in touch with the team today for more information. We work hard to make intelligent storage solutions accessible, affordable and convenient for every customer without exception. From the smallest personal-use lockers to much larger industrial shipping containers, our commitment to quality is total. We’re proud to work with a wide range of clients from Surrey, Sussex, Kent, Croydon, Kington Upon Thames, Bromley, Crawley, Sutton, Dorking, Reigate, Redhill and the whole of the South East of England. For more information on any of our services or to discuss making a booking, get in touch with our dedicated customer care team today.